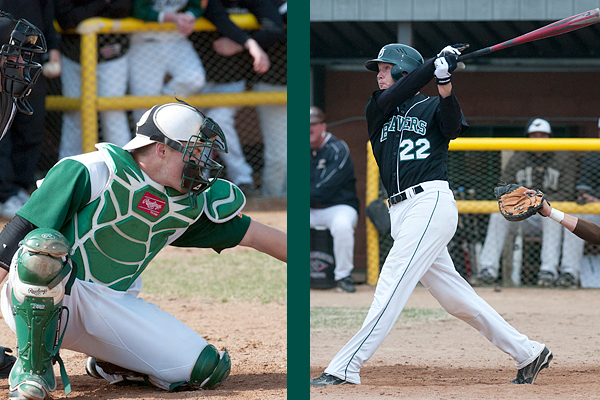 After narrowly missing the post season and finishing eighth in 2012 with a 16-20 league record, the Bemidji State University baseball team was picked to finish seventh in the 2013 Northern Sun Intercollegiate Conference Preseason Baseball Coaches’ Poll, in an announcement from the league office today. Kalis earned 2012 Daktronics All-Central Region First Team, ABCA All-Central Region Second Team, NCBWA All-Central Region Honorable Mention and All-NSIC First Team designated hitter honors to cap 2012… Head coach Tim Bellew inserted Kalis into the batting line-up as the designated hitter, in the outfield and at first base… The junior batted .323 in 2012 and led the team in home runs (10), RBIs (43), runs scored (38), total bases (93) and triples (3)… His home run total finished tied for third in the NSIC and 39th in the nation at the conclusion of the regular season… His three triples ranked tied for fifth and the 43 RBIs tied for eighth in the league… He posted a .578 slugging percentage that tied for first on the team and added 52 hits to rank third with the fourth most at-bats (161)… He finished the season with the most multi-RBI games on the team with 12 and posted the second most multi-hit games with 17… Kalis drew 12 walks, posted a .380 on-base percentage and was successful in all three stolen base attempts. Kalis’ arm got stronger as the year went on… The right-hander won his final two starts to finish 4-6 with a 6.34 ERA…. He started 10 times, threw three complete games, appeared in 13 contests and posted one save… In 59.2 innings pitched he allowed 56 runs (42 earned) on 78 hits with 44 strikeouts and 26 walks… He faced 245 batters and allowed a .318 opposing batting average. In the field he recorded 88 putouts and 16 assists with five errors to post a .954 fielding percentage… He started at designated hitter more than any other Beaver with 22 games, while finding a starting spot in left field nine times, first in eight games and right field three times. A 2012 NCBWA Division II All-America Second Team, Daktronics NCAA Division II Baseball All-America Second Team, Daktronics All-Central Region First Team, Rawlings/American Baseball Coaches Association (ABCA) All-Central Region First Team, NCBWA All-Central Region First Team and All-Northern Sun Intercollegiate Conference First Team catcher, Braun took the Beavers’ batting title in just his second season in the green and white…. Braun is the first student-athlete under head coach Tim Bellew to earn All-America honors in his seven seasons at BSU… His .391 batting average placed him fifth in the NSIC… His .578 slugging percentage tied with junior Logan Kalis (RHP/1B/OF, Little Falls, Minn.) for the team lead and ranked 13th in the league, while his .477 on-base percentage was fifth in the conference… In 128 at-bats he recorded 50 hits, 32 RBIs, 28 runs scored, nine doubles, five home runs and 74 total bases… His 1.35 hits per game ranked sixth in the NSIC… Braun recorded 12 multi-hit games and seven multi-RBI games, including two five-plus RBI contests and a five hit game… He drew 16 walks and was 3-for-4 on stolen base attempts on the season… Had a six-game hitting streak (Feb. 23-March 8)… He was named NSIC Player of the Week May 1. In 24 starts he recorded 143 putouts behind the dish with six assists and six errors for a .961 fielding percentage… He caught four runners stealing.